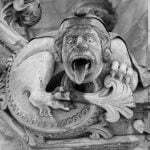 Where is Ernest Thesiger buried? Ernest Frederic Graham Thesiger, CBE, is buried in Brompton Cemetery, Fulham Road, London. His grave is among other members of the Thesiger family. English actor Ernest Thesiger (1879 -1961) secured his place as a horror legend in the 1930s when he appeared in a number of character roles, most notably the eccentric Dr Septimus Petorius in director James Whale’s Universal classic The Bride of Frankenstein (1935). 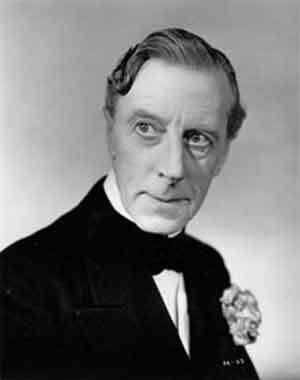 Thesiger, who had known James Whale from their theatre careers in the UK, was cast as Horace Femm in Whales’ US comedy-horror The Old Dark House – Universal Picture’s production of J.B. Priestley’s Benighted. The film, which also starred Boris Karloff and Charles Laughton, was not well regarded at the time of its release but has grown a cult following and is now considered the archetypal haunted house film, mainly due to its exceptional cast. The following year, Thesiger returned to England to appear as a Scottish butler in The Ghoul (1933) – Boris Karloff’s first British film. When James Whale agreed to direct a sequel to Frankenstein (1931), he demanded that Thesiger be cast as Dr Pretorius rather than Universal’s choice of fellow Englishman Claude Rains, who had found fame in Whale’s The Invisible Man (1933). Thesigers’ flamboyant and campish portrayal of Dr Pretorious is a truly enjoyable one and makes him one of the most memorable characters in Bride of Frankenstein. Although Thesiger made over 60 films in his career, it is The Bride of Frankenstein and The Old Dark House for which he’ll be remembered. Here’s a great scene from Bride of Frankenstein (1935) with Ernest Thesiger as Pretorius and Colin Clive as Frankenstein. ADAM SCOVELL says The Bride of Frankenstein "showcases all of Whale’s wonderfully subversive & quintessentially British qualities"